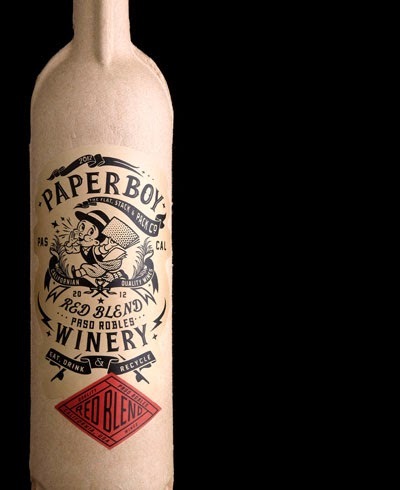 I am a supporter of environmental protection, and I read with interest about Paperboy. However its practical side is doubtful considering the quality of the wine. Or just narrow-minded part of me say that...? "Paperboy is about as green as it’s possible to make a wine bottle. 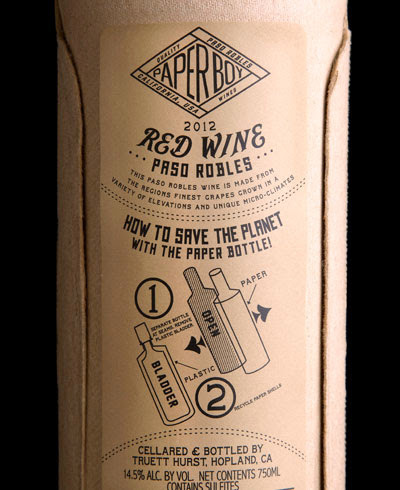 It’s made out of a compressed recycled paper, printed with natural inks and the inside contains a recyclable sleeve like you find in a box of wine. The bottles are rigid and strong – are even icebucket safe for three hours – and take only 15% of the energy that regular bottles take to produce. They weigh only an ounce when empty so save a huge amount of energy on shipping." Photos from Paperboy's homepage Stranger and Stranger.